Grace and Works is an important topic and one which seems to divide many people who believe in Christ. I tried to clarify some issues in the grace and works post from yesterday (July 13, 2010) but wanted to add a reference for you from an article written almost 2 years ago. It asks the question, Is baptism a work? Some seem to think so and have discounted its importance. I hope this article will be enlightening. The article was written in response to a question posed by a preacher on his website. It’s part of a lengthy series which you can access by the links at the end of the post. IMO grace and works are both mutually exclusive from eachother. Works of righteousness only demonstrate faith within. A horse isn’t a cart they are mutually exclusive from each other yet related to transport. Faith is the ‘horse’ that draws the ‘cart’ of works. No faith, no works that follow behind. The (horse) faith exists entirely on it’s own regardless of the works (the cart) that follows behind. Please watch for some articles on this topic soon. I think it is an area of great misunderstanding that divides those who believe Jesus is the Son of God. You cannot earn salvation. You cannot put God in debt. You can, and I would argue must, be obedient. You illustration, though creative, is not really on point here. Looking forward to your thoughts. It seems your obedience is trying to repay that debt? 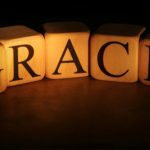 Previous post: Do Grace and Works Clash?